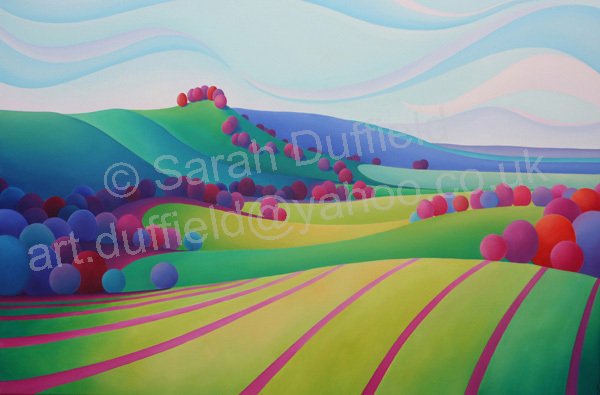 "To Chanctonbury" A green and Pink commission. One of my first commissions and still a favourite image of mine, prints are available in my sharp line gallery. Created in close collaboration with a lady client who specified a particular, well known, South Downs beauty spot "Chanctonbury Ring" as well as her favourite colours. Paintings are often created to "fit" in with a room size, decor or ambience that a client wishes to create.